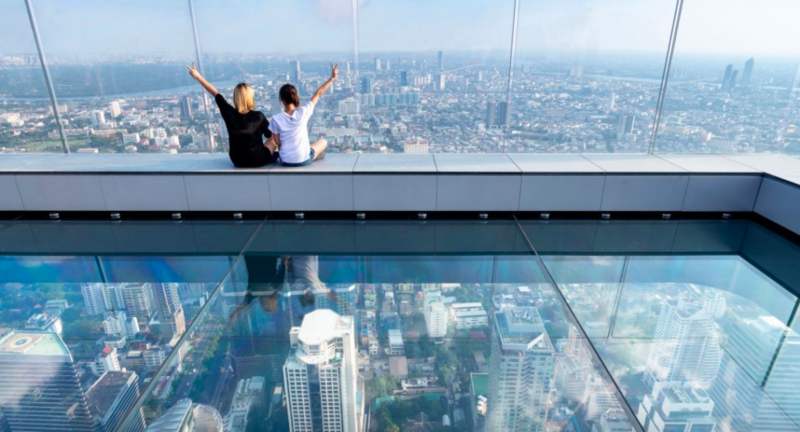 Over 1,000 feet above the streets of Bangkok, thrill-seeking tourists creep out onto the glass floor of an observation deck at the top of a futuristic-looking tower. 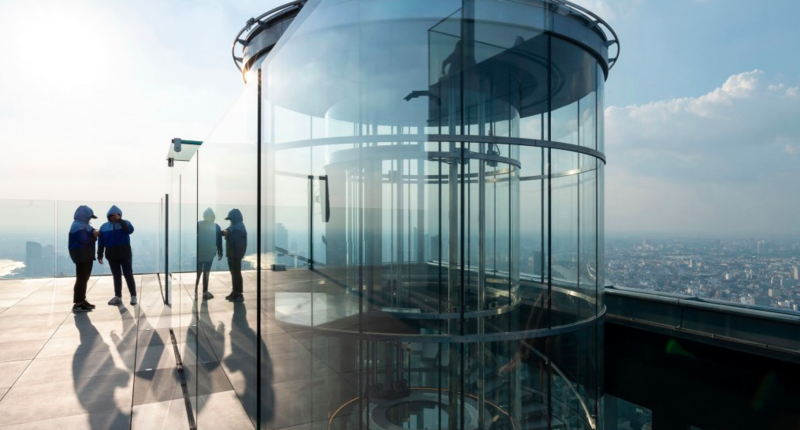 The new observatory is the crown jewel of the MahaNakhon building by Buro Ole Scheeren, a residential skyscraper adjacent to Chongnonsi Sky Train Station. 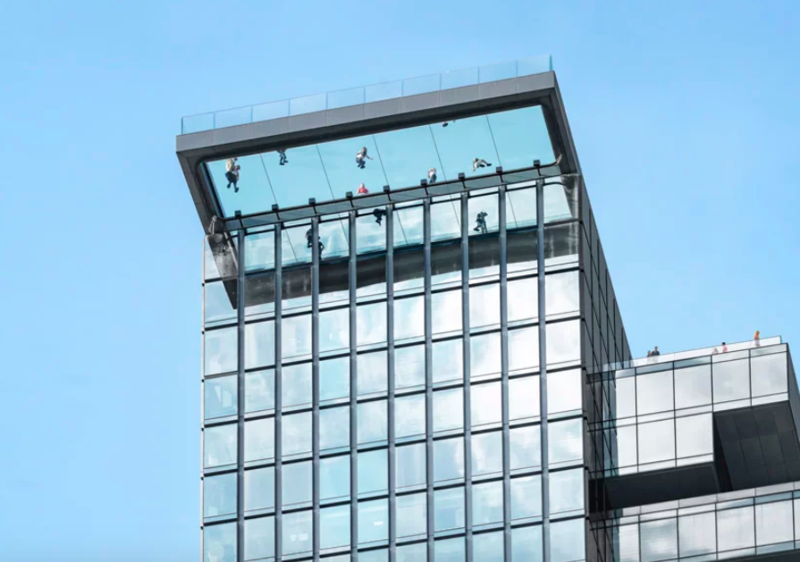 Dubbed the “Skytray,” the sheet of glass cantilevers from the top of the building and measures about 15 by 57 feet. The deck, which just opened to the public, offers 360-degree views of the cityscape and the Chao Phraya River. 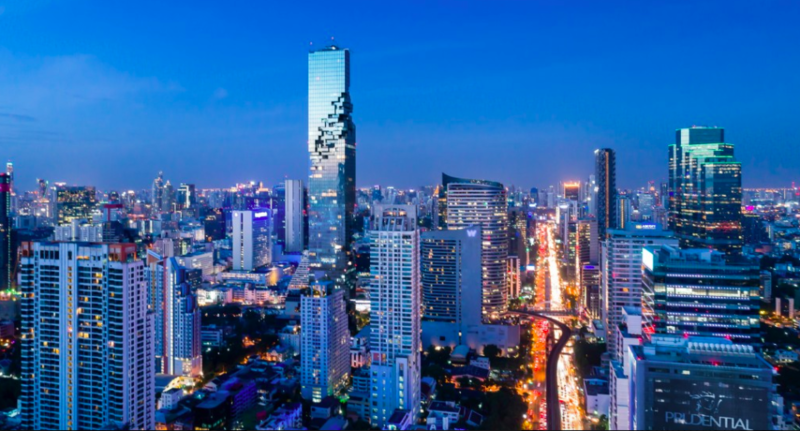 As with any skyscraper observation deck, it’s not for the faint of heart, and the glass makes it extra heart-pounding – especially since the MahaNakhon is Thailand’s tallest building. 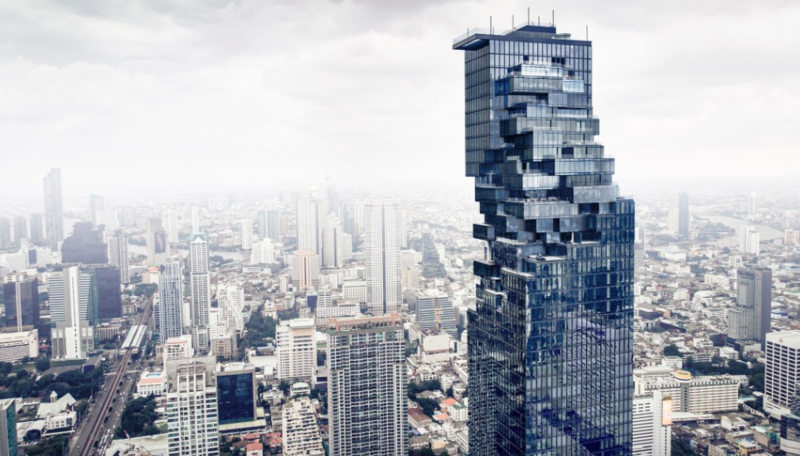 The tower itself is a striking addition to Bangkok with a pixelated appearance generated by “a geometric erosion” consisting of balconies, terraces and floating rooms that emerge or recede from the tower’s glassy facade. 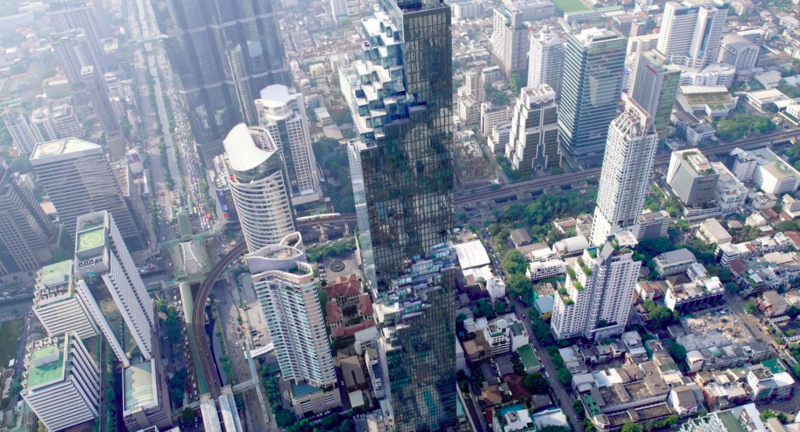 The architects wanted to blur the boundaries between the tower and the city outside so residents almost feel like they could walk right out into the air. 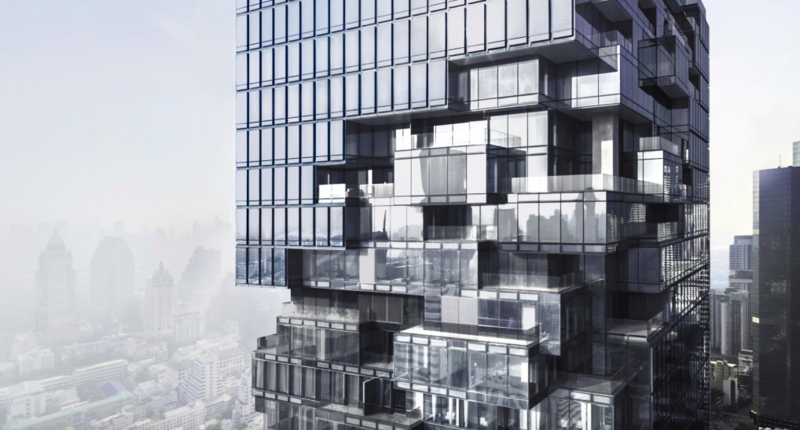 In addition to 200 private apartments, the tower houses retail space, cafes, restaurants, terraces and a boutique 150-room hotel.